Because honestly. Do words even need to be shared? 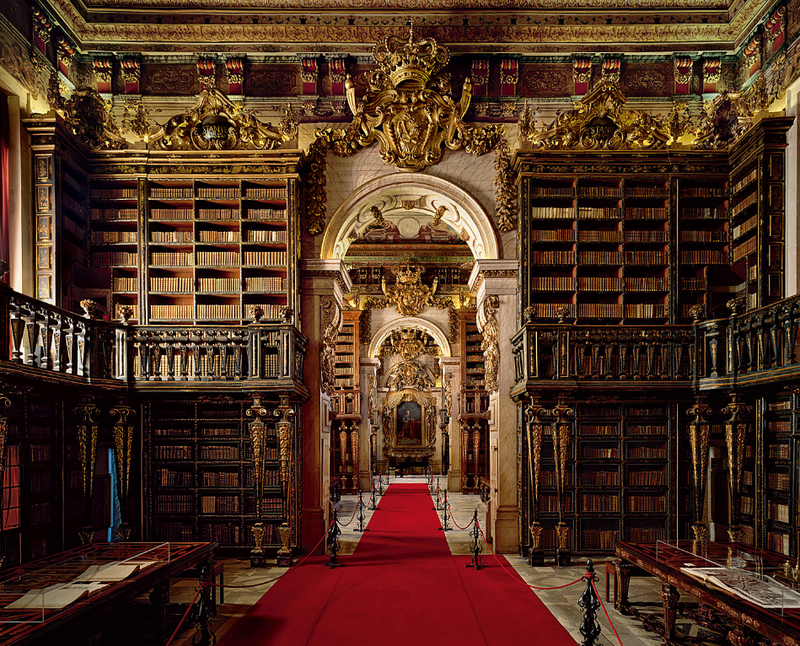 While the classical nature of Coimbra's library is impressive, this library is a rather amazing example of modern design. Check out what Mexico City turned out to the tune of $100 million. Sweet, huh? I think it deserves a second view; it's trippy. Okay, I'm not going to lie. 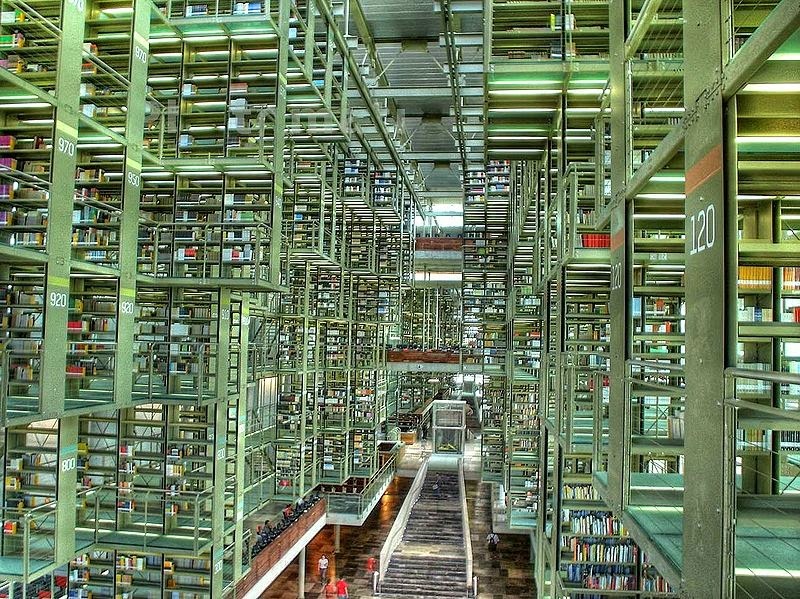 I fell in love with this library just by looking at it. And because I found out you can rent this space for a party or wedding reception. Can you imagine my birthday party there?? Hey, a girl can dream. Without a price tag. And let's not forget George Peabody's prestigious neighbor. 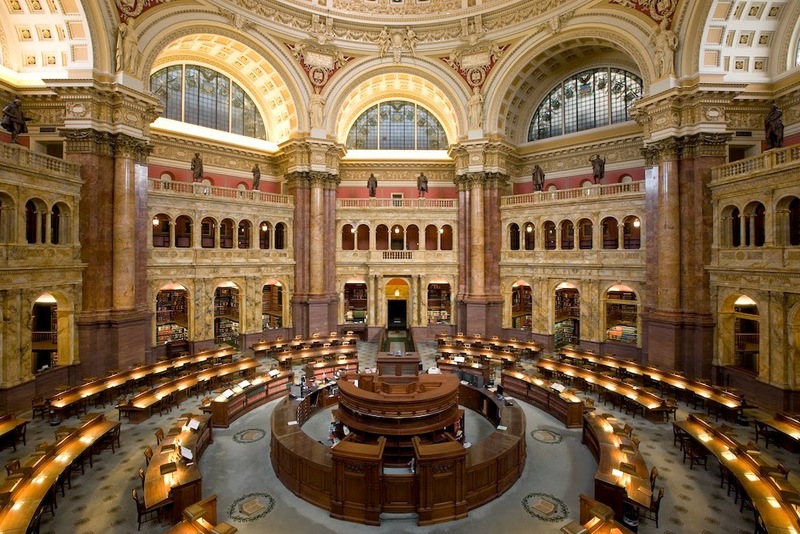 The Library of Congress is impressive, to say the least, including "over 32 million books, more than 61 million manuscripts, a rough draft of the Declaration of Independence, a perfect vellum copy of the Gutenberg Bible (one of only four in the world), over 1 million newspapers from the last three centuries, over 5 million maps, 6 million pieces of sheet music, and more than 14 millions photos and prints." All in a very handsome building. Bam. Go USA (no, I'm not biased at all). Yes. This is a private library. I know, right?!? It is posted in this list because it is a source of inspiration for those of us trying to build their own private library. Jay Walker is a rather successful entrepreneur who has set aside 3,500 square feet of his house for 50,000 some-odd books and museum pieces. 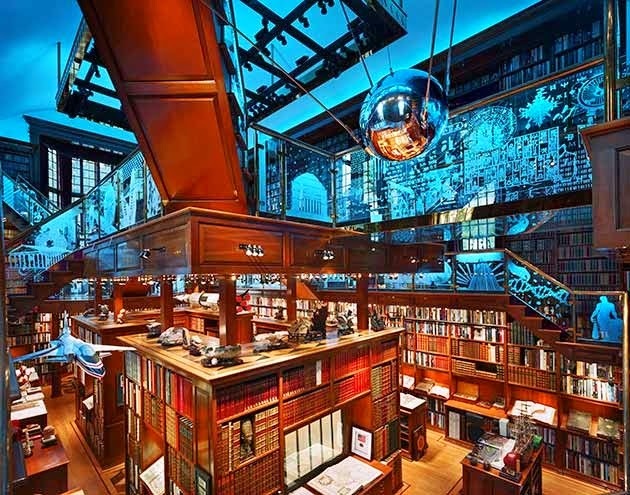 He has dubbed it, "The Walker Library of Human History and Imagination." Fitting, yes? It's pure genius! Maybe someday, when I have billions of dollars, I will build something better in my home. Genius. A special collections that is on display, but still protected. 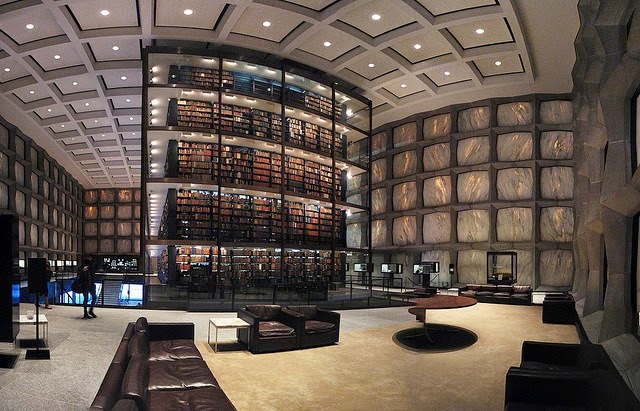 It's the largest building in the world devoted to the preservation of rare materials. And how beautiful! It has quite a few treasures (including a Gutenberg Bible!) and yet, doesn't shut them up in a vault. Genius. 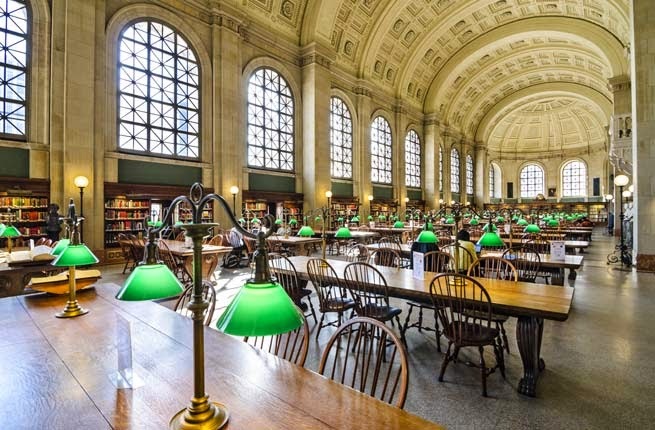 The mother of all American libraries, Boston Public Library is the first public library in America. And the prettiest. Let's face it. How classic are those green lamps?? It is my favorite. Ever. 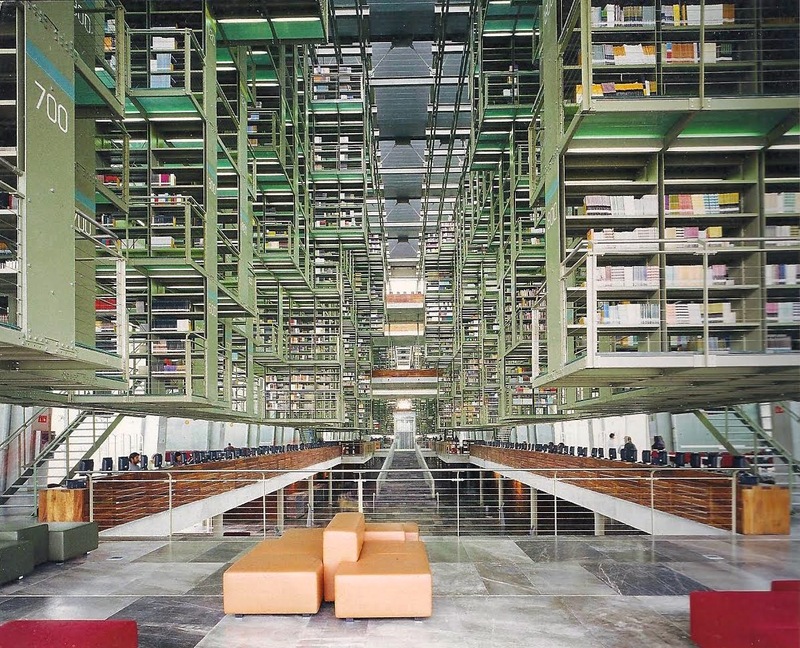 Mainly because I had the lucky opportunity to see this library in my travels abroad. I only had a half hour or so, but it was the happiest I had been up to that point in my life--and that's not an exaggeration. 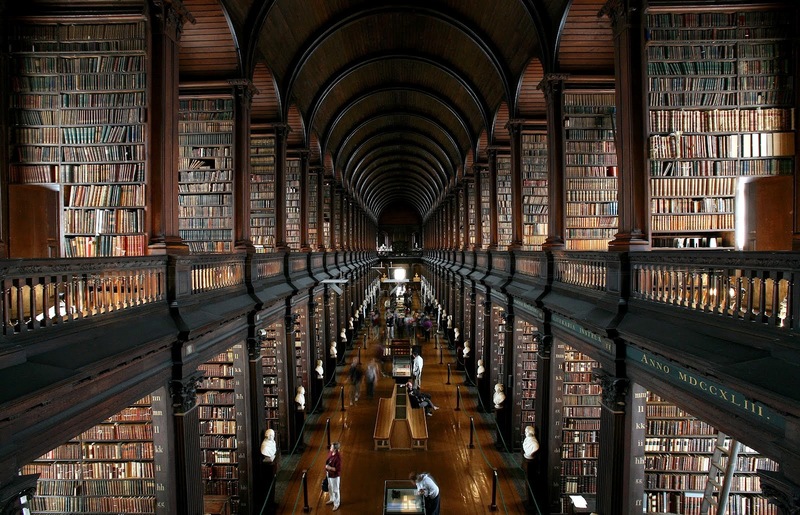 It's quite handsome, and is home to the Book of Kells--a monk masterpiece of the new testament with illuminated script. Basically, it's number one because of my personal connection to it. And because it's the best. Ever. So there you have it. Random, but true. 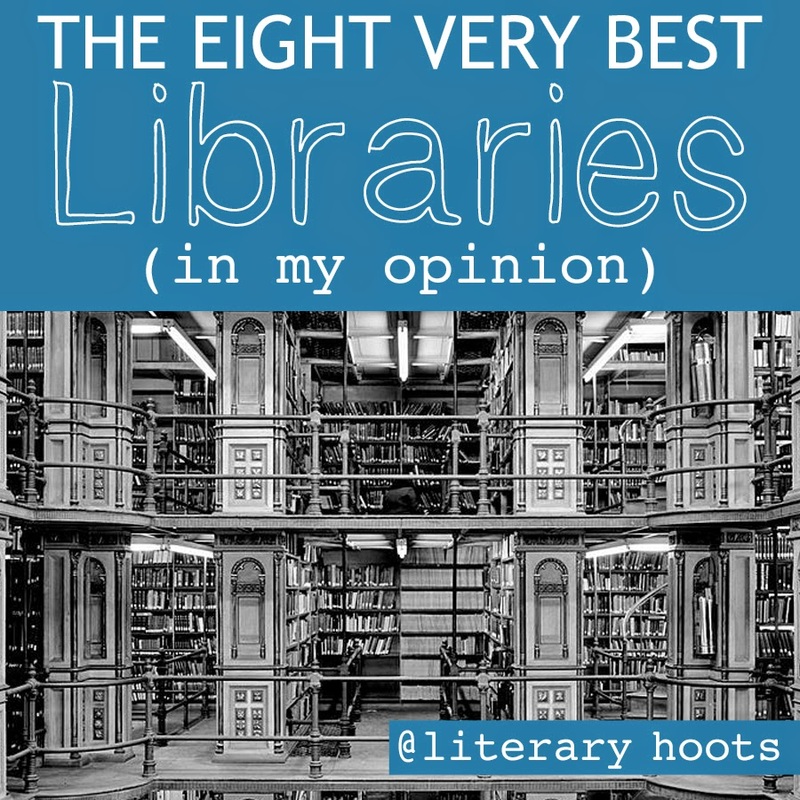 But the question remains...do you have a favorite library?